The Navy is known for its tough training programs – and the Navy SEALs are among the toughest. This year’s U.S. Olympic sailing team received part of its pre-Olympics preps from the SEALs. As the opening ceremonies begin tonight, think about those Navy trained Olympians. 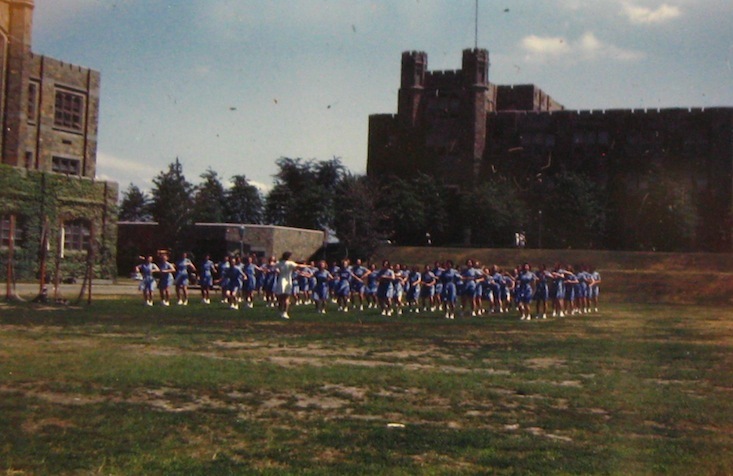 This image is of World War II-era WAVES training in boot camp at Hunter College in the Bronx. It comes from Radcliffe’s Schlesinger Library.